Elaine Kennedy is an actor, writer, director and producer. Elaine is best known for her multi award-winning short film UISCE BEATHA (Water of Life) in 2016 which she wrote, directed, produced and starred in to much critical acclaim. 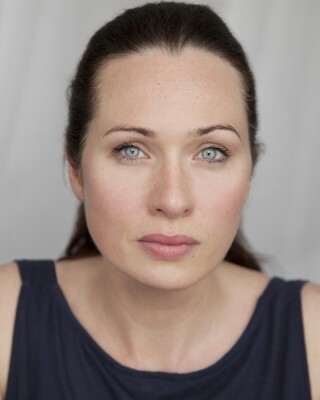 She recently starred in PICK UPS feature film starring Aidan Gillen and directed by Jamie Thraves. Recent screen credits include MICHAEL INSIDE directed by Frank Berry – winner BEST IRISH FEATURE Galway Film Fleadh 2017, OUIJA: INSIDIOUS EVIL directed by Christophe Lenoir, WRITING HOME directed by Conor Scott (Filmbase), the role of Vanessa Ford in independent feature MAKING IT, DEAD ALONG THE WAY directed by Maurice O’Carroll and BRACKENMORE with Up Stream Films. Previous film work includes RUN & JUMP directed by Steph Green for Samson Films, LOVE & FRIENDSHIP starring Kate Beckinsale with Blinder Films and a film adaptation of Sebastian Barry’s THE SECRET SCRIPTURE directed by Jim Sheridan for Ferndale Films. In 2016, Elaine filmed US pilot DAWN directed by Robert Stromberg for Hulu.